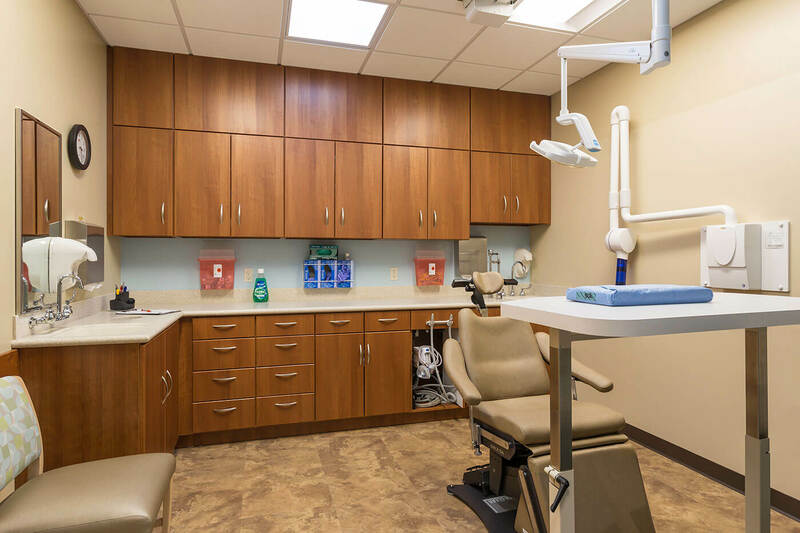 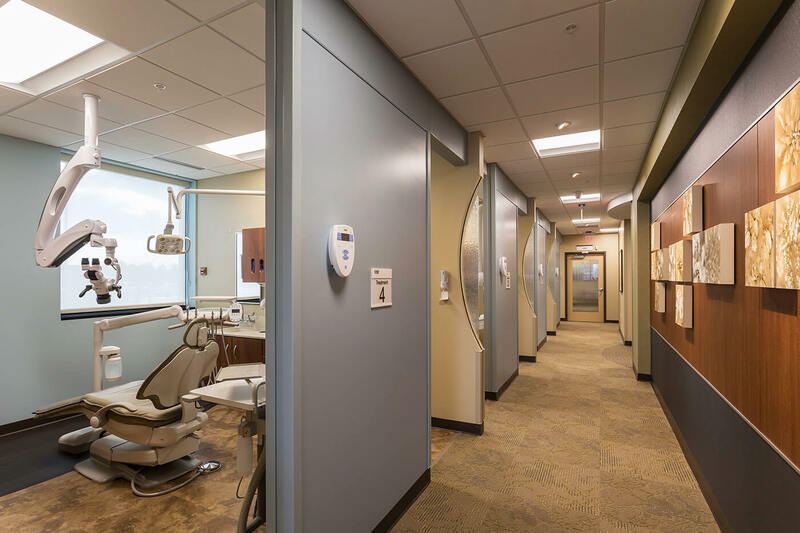 Mohagen Hansen Architecture | Interiors was selected to design this dental clinic which was developed to meet the needs of multiple oral care specialties including general dentistry, pediatric dentistry, oral surgery, orthodontics, periodontics, prosthodontics, and endodontics. 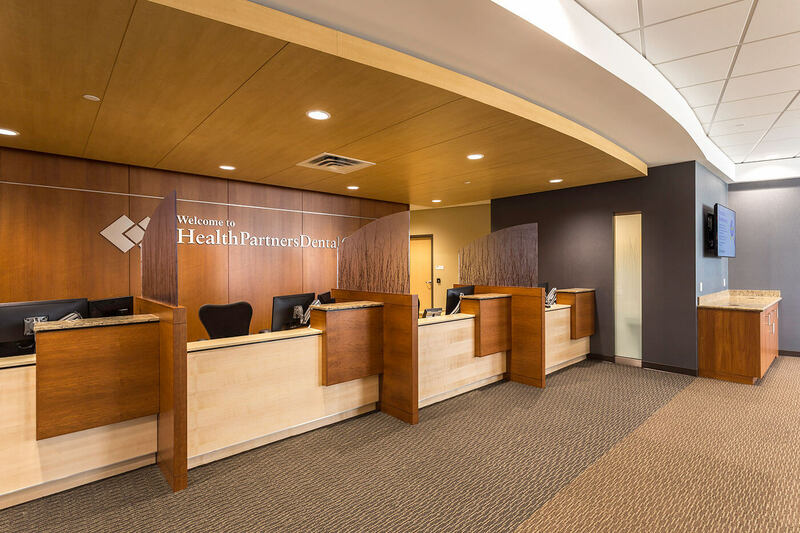 The clinic was designed incorporating HealthPartners branding and established clinic design standards. 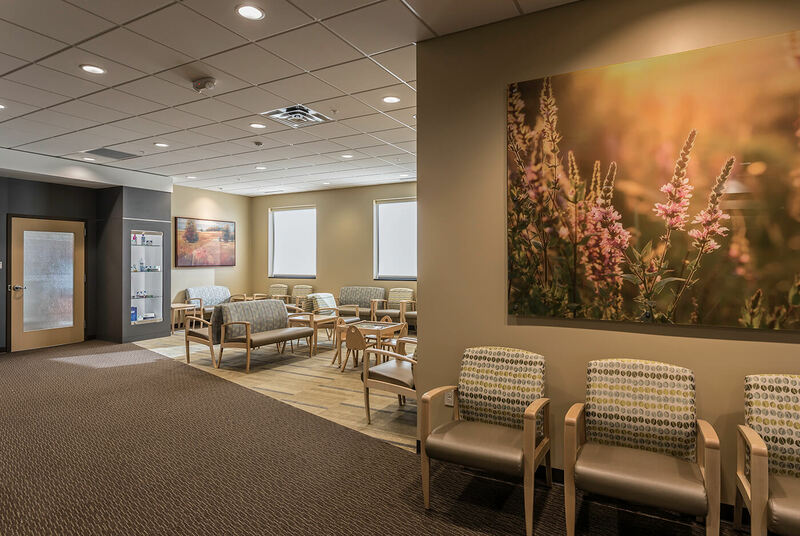 A warm, uplifting color palette mixed with soothing greens and nature photography was used to ensure that patients feel comfortable when visiting the clinic, whether there for an annual cleaning, or oral surgery. 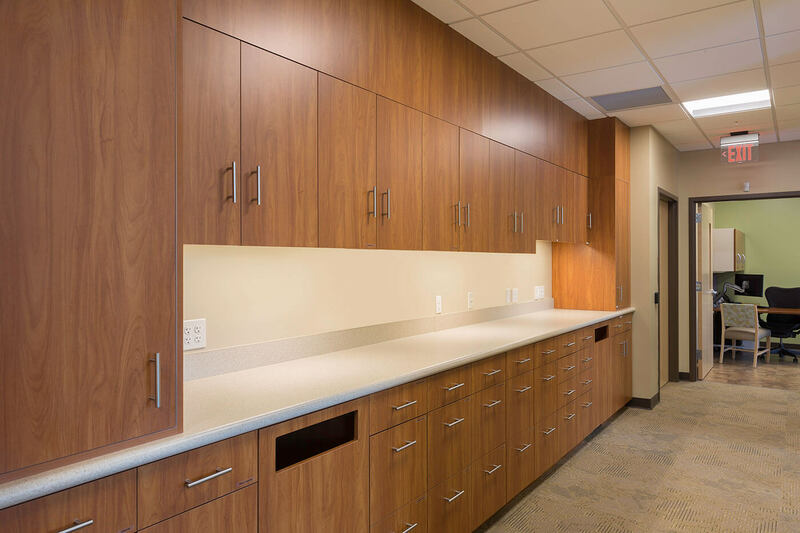 Warm wood tones and natural lighting gives the environment a calm, natural feel, while maintaining functionality and improving the efficiency of the space. 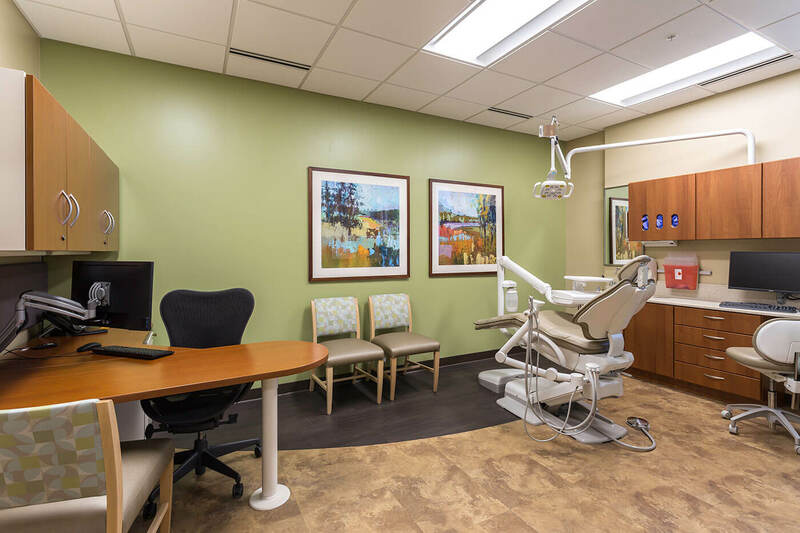 The clinic includes 11 exam rooms, four oral surgery rooms, a consult room, treatment bays, and other laboratory-based areas – ample room for the different areas of focus that HealthPartners provides within this 7,600 sq. 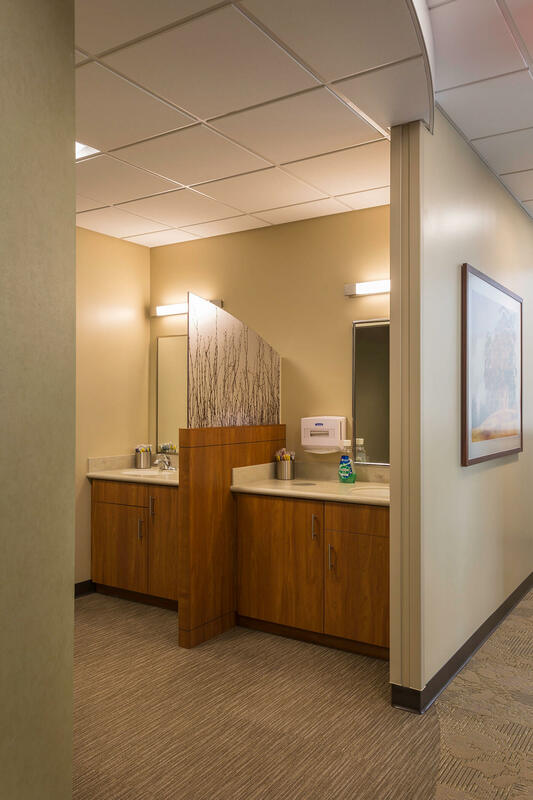 ft. clinic.